Count the Stars of Heaven! Have you ever been in the desert at night when the sky is as clear as crystal? I remember a night like that when we were out west not far from the Grand Canyon. We had taken the train cross country when the children were little, and we still speak of that amazing and memorable vacation. I remember one night stepping outside and gazing up to heaven and the sight I saw that night took my breath away. 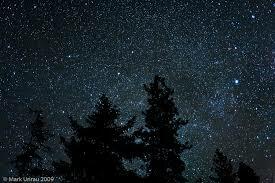 The stars filled the sky as if someone had spilt a saltskaker across the canopy of space, so vast was the multitude of stars. Being a city kid, I had never seen such a sight as this. When I think of Abram and his encounter with God that night as he poured out his heart in lamentation over his childless estate, I think of my experience of that night in the desert. As I gazed into the heavens, I was immediately transported into the Royal Realm of the Holy One. I heard no voices that night, certainly nothing like Abram's encounter. But I did have a sense of the awesome dimension of God's creative love and mercy. 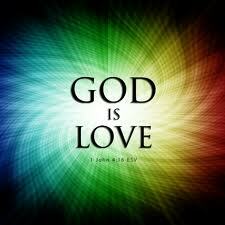 There was a sense in that moment that as God embraced the Universe, so too God embraces the human heart; mine, my family's, and every family under heaven; such is God's abundant love and mercy toward us all. It is in such a moment as this that Abram heard God's promise. He heard that God would bless his servant with abundant hope. Abram would come to know that his descendants would be as numerous as the very stars of heaven he was looking at. We know from Science that we are all stardust. Parenthetically, istn't it interesting that stargazing leads to faith and physics, they ways of God and the ways of Science. Our Ash Wednesday liturgy teaches us; "Dust we are and to dust shall we return!" Stardust! God's stardust! Full of God's love, mercy, and hope. And we're told that Abram believed God. It was in that faith that God reckoned it to him as righteousness. The Psalmist tells us that the one thing we ask for and the one thing we seek is that we may dwell in the House of the Lord forever. Here we are today in God's House, and so too in this world where we live, suspended in the heavens among the stars of the universe. Here we live in the House of the Lord forever. Amazing! "To behold the beauty of the Lord, and to seek Him in His Holy Temple". We are God people; we are God's Temple: the Temple of God's Universe. On a different note, the Psalmist continues in vers 18 "O tarry and await the Lord’s pleasure; be strong, and he shall comfort your heart". I know that to be true. As Helen Keller once said: "As the world is full of suffering, so is the world full of those who overcome it." During her last journey toward heaven, I asked Cindy's mom what she wanted in heaven; she looked at me as if to say; "What are you smoking?" But then she thought about it. Maybe there is a God. Maybe there is a heaven and if there is, she thought, "I want to be gathered to my loved ones; especially with my mother and my two sons whose deaths broke my heart." That's what I want from God. What is it you want heaven to be for you? Perhaps it is too soon to ask such a question. God knows, I'm willing to put it off as long as I can. But this I know. The world may be full of suffering, but there are those who courageously overcome it as well. That heaven is in the here and now is what matters. Look at the stars of heaven as Abram did. The Father of Faith. Count those stars if you can, so shall your hopes be! Such is God's Love and Mercy. The world we live in is full of those who renounce any hope of God, or heaven or eternal life. In today's second lesson, Paul laments those whose "end is destruction, and whose minds are set on earthly things". God knows, every time I do a wedding or a funeral, it is clear that there are many "out there" who have no church, no faith, no hope of anything more than what we know in the here and now. I know them well. There are many among our friends and family. For such as these, last week's memorial service for Nona was patiently endured until we got to the reception where we could greet family and friends and of course eat. I was so grateful for the church that day. The love of Sarah Kelb, Priest in Charge, the women of St Paul's Church, North Andover who put on such a nice spread. The love was palpable. There were those who would have preferred that there be no service, that we rent a hall and hire a caterer. That's not how Cindy and I were going to do things. Oh no, Nona was going to have a good send off. The church was full of such faith, hope and love. And the greatest of these, as the scripture says is love. Thank you church. Your love is of the essence in setting forth the Gospel of Jesus Christ. It is with such love as this that the stars of heaven shine down upon us and within us with the Glory of God. But back to earth now for a minute. Jesus understood Jerusalem all too well, then as now. The place that kills the prophets and stones those who are sent to it. Christians, Jews, Muslims, and many more besides. The human heart is so full of violent hatred is it not? And God looks over the heart of humanity with such deep and profound sorrow. 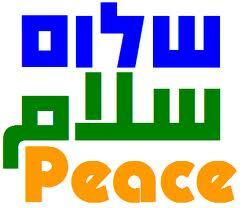 Jesus seeks to bring peace to the place called Jerusalem; the very name of the place means Peace. The etymology of Jerusalem means the "dwelling place of Peace" or the "foundation stone of Peace". How often Jesus would have gathered us within his embrace as a hen gathers her brood under her wings. But we would not. And we still won't. It is not just religious differences, but racial, ethnic, gender and orientation that divides us. The "we/they" phenomenon is operational in our political and religious lives and it goes well beyond that simple good natured ribbing that has always been part of our mixing it up with one another. It spills over into vitriolic hatred, violence and ultimately warfare. As people of faith, we are called in Lent to repent; to prayer and fasting, self examination and denial. All people of faith are likewise called to repentence as Jews are at Yom Kippur, the holiest days of the year. At Ramadan, Muslims are called to prayer, fasting, self accountability, and works of charity. All people of faith are called to repentance. As with Abram, the Father of the three Great monotheistic Faith traditions, we all find ourselves under the same stars of heaven, and under the same authority of God. It is the same God who calls us all to look up to heaven and count the numbers of the stars if we can. We are also required to pray, to fast, to examine ourselves and to acts of charity during our high holy days. And not just then, but throughout the rest ofour lives as well. In Judaism, God calls us to Obedience. In Islam, God calls us to Mercy. In Christianity, Jesus calls us to Love one another. Obedience, Mercy, Love; these are not suggestions, these are our commandments! Yes look up to the stars of heaven; the words are written not just there in a far away place light years away, but within every human heart. and keep you wrapped around The Holy Heart! and keep you wrapped around The Holy Heart. In the Name of God; the most holy, undivided, and everlasting Trinity. First let me thank the priest of this church, Sarah Kelb and the folks at St. Paul’s. I served here with you as your “Bridge Priest” for 10 months from December 2013-September 2014 and we grew in affection for one another during that time. And thank you too Kit Lonergan for standing in for Sarah. Unfortunately she has to answer an emergency but hopes to join us before too long. What you are doing for our family and friends today is deeply appreciated. Thank you also to Ed Stauff and the Choir for your efforts. You know how much I love and appreciate music. Let me thank you too dear family and friends for your being here. It is important that we give Nona a good send off today. When asked for her religious preference at Exeter, Nona pointed to me and said; “He’s my priest.” And so it shall be for you Nona. Each of you is part of the Priesthood of all believers, because in one way or another you all love Nona. There are a host of special memories, and the feelings at a funeral are especially strong. We remember good times and we may also remember other times as well. As with all intimate relationships, our memories, experiences, and feelings are not all of one kind. The fact that we try to love one another doesn't always mean we can achieve all that we might wish for in this world. The process of loving one another requires forgiveness and reconciliation. And all that requires hard work, and as you and I know all too well, that's when things get messy on “this side”, as we Irish like to say. That's just the way it is. But today thankfully all is at Peace. The suffering is over, and she can rest that long last rest. In her last moments I whispered into her ears reassuring words that all is now well. By the way the hearing is the last to go. I told her it is time to let go of it all. Soon she would be reunited with her mom, and her two sons who predeceased her. And I sang to her, “Jesus loves me”. I then commended her to God’s keeping. It's what I do as a parish priest; to take her to the Gate of Heaven. May she rest in Peace with all those who have been gathered to our ancestors. For us we carry on, and there are still many struggles we engage in each day of our lives. But death reminds us of the importance of life, family and friendship. That’s what brings us together today. On behalf of the rest of us, thank you. Brothers, sisters, grandchildren, cousins, seniors, friends and so on, there were many kindnesses as she took that last journey. It was hard to watch her suffer so. I love you all for the grace you demonstrated time and again and so much more. But we all did what we had to do. And Papa. Thank you for being here today. This is not easy for you. I know you would have preferred it if we just had immediate family gather at the house. But you’re the one who went off and had a large family. I remember that first Thanksgiving with your family at a church hall in Essex. There were a hundred folks there give or take. I said to Cindy, this is just the immediate family! “Who are all these people?” But you folks went off and had a wonderful time. It left my head spinning. Papa, I understand. The mystery of life and death for me hangs on the word “Love”. It is the only word that helps, for that is all we have left when there is a death. Mind you, it is the only word we have that leads to life as well. And Jesus used that word when pointing to eternal life. Very simply put, Jesus summed it all up when he said; “Love one another”. So now the feelings flow. I understand the sorrow and the grief. My dad died when I was eight years old at Christmas. I was too young to understand that I would never see him again. I remember running to the window every Sunday to see if he was coming to visit me which was the custom after the unpleasantness of that divorce. But he never came again. One of the Christians in the family said my dad couldn’t go to heaven because he didn’t go to church. Thankfully there weren’t many Christians in my family. My uncle, who had very little use for the church, often said that my dad would go to heaven sooner than many in that crowd. True enough, the only time I ever heard my dad use our Lord’s name was when he lost a bet at Suffolk Downs, which he often did. He loved to take me to see “the ponies” as he called them. It is one of the few memories I have of him. I cried to heaven night after night, trying to sleep. But I was afraid I might not waken with the dawning. Eventually I learned that I would never see him again in this life, and wondered whether I would see him in the next. But all my prayers went unanswered by a profound Silence. “Of course there is!” she declared. “Ma is my daddy there?” She hesitated just a moment then. After all, more than once she did say all those foreigners; especially the Irish and the Italians ruined the city of Boston. That tells you what she thought of my father. Not to mention, the idea of an English woman spending an eternity with an Irishman must have given her pause. And parenthetically, she made me promise on the old family Bible that I’d never marry an Italian. I promised and then I broke that promise, thanks be to God. Sorry Ma. But then she did something I will never forget. She knelt down and held me close. It is as if even in this moment, I can still smell the scent of her hair and she said; “Of course he is”. Interestingly enough, I came across these words in this week, and I adapted them for this occasion. 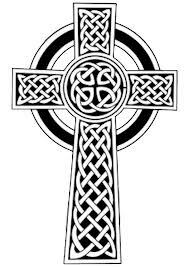 They speak to my experience of God's first language, as the Celtic Christians call it: the eloquent language of Silence. And I learned Who God is. This is all I know about God or me. Nona, the only word that binds us together now is God's great word. Love. This is all we have both in this life and in the life to come. But thanks be to God, love is more than enough. We commend you now to God's keeping and to the love that lives on in our hearts.